The Nittany Lion Wrestling Club (NLWC) is a tax-exempt, charitable, educational organization [IRS code Sec 501 (c) (3)] with the purpose of educating and promoting amateur wrestling.The NLWC Board of Directors includes President Jim Martin, Vice President Judd Arnold, Dave Becker, Bill Buckley, Terry Chandler, Bob Noll, Mary Noll, and Darrel Zaccagni.The NLWC Staff includes Rich Lorenzo (Advisor to the Executive Director and Board), Dave Hart (Executive Director, Treasurer, Secretary, and Membership Chair), and Jake Varner (Director). The NLWC is supported by the many, many generous individuals and businesses who donate to the Club through the annual membership/sponsorship campaign, the annual golf tournament, and other fund-raising efforts. The Nittany Lion Wrestling Club's goal is to be the premier wrestling club in the United States, and the NLWC is well on its way to achieving this goal. 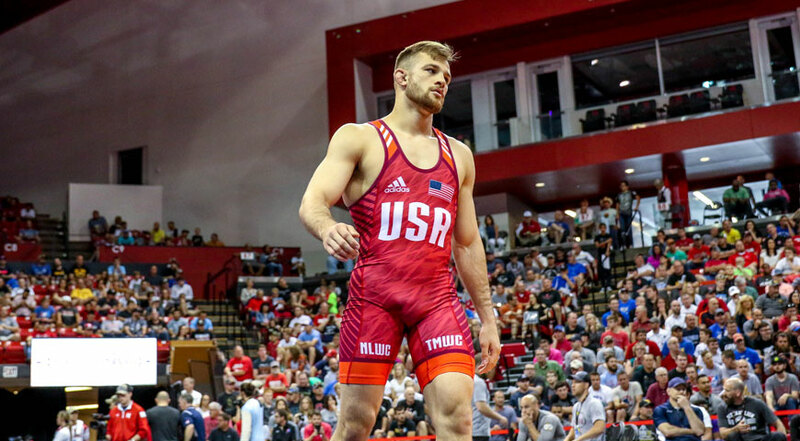 USA Wrestling, the national governing organization for the sport of amateur wrestling, has designated Penn State University as a U.S. Olympic Regional Training Center with practices held in the Penn State Wrestling Room in the Lorenzo Wrestling Complex. 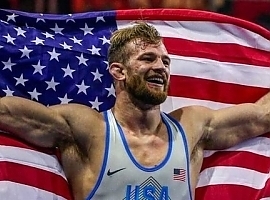 The NLWC supports wrestling at all levels but focuses on the Olympic Development of the athletes who train and the Olympic Regional Training Center. The Regional Training Center Coaching staff is comprised of Cael Sanderson, Cody Sanderson, Casey Cunningham, and Jake Varner. Also with the recent additions Mark McKnight and Eric Thompson to the NLWC coaching staff. The coaches have recruited elite wrestlers from around the U.S. to live in Central Pennsylvania and train at the NLWC’s Olympic Regional Training Center.This program is known as the NLWC Resident Athlete Program, and it is designed to provide the coaching, training environment, and financial support necessary for these individuals to compete for and win Olympic and World Championships. In 2014, the Club’s Regional Training Center received a tremendous boost when the U.S. Army World Class Athlete Program (WCAP) decided to move their freestyle wrestlers to the State College area to train with the NLWC Resident Athletes.Their coaching staff liked the NLWC Regional Training Center coaching staff and how the Club’s Resident Athletes trained, and they liked the results that they were obtaining.Thus, they made the decision to move the U.S. Army WCAP wrestlers to State College, PA.These athletes are entirely funded by the U.S. Army, but they train under the direction of the NLWC coaching staff.These are also some of the top wrestlers in the U.S., and they are training to win the World Military Championships in addition to making the U.S. World and Olympic Teams. Other wrestlers who train at the Club’s Regional Training Center on a regular basis include top senior level wrestlers from the U.S. and many different countries (including Germany, Japan, Guam, Puerto Rico, Uzbekistan, and Canada), top college wrestlers from Penn State and other college programs, and many upper level scholastic wrestlers.By training with the elite senior level wrestlers at the Club’s Regional Training Center, these college and scholastic wrestlers get to see firsthand “what it takes” to become Olympic and World Champions, and the next generation of champions is created! Note:For wrestlers to train at the Regional Training Center practices, they must meet the criteria established by USA Wrestling. Regional Training Center practices are held on a daily basis year round.In addition, the NLWC Regional Training Center occasionally hosts USA Wrestling National Team training camps. In addition to this support of Olympic caliber wrestlers, the NLWC serves scholastic level and beginning wrestlers.Although many of the top scholastic wrestlers qualify for and can participate in the Regional Training Center practices, the Club also offers a variety of different scholastic programs for elementary, junior, and senior high wrestlers. The NLWC conducts an annual golf tournament that is a fund-raiser for the Club’s Resident Athlete Program and is also a fun, social event where fans of wrestling and the NLWC can get together to have a good time.The NLWC also runs an annual scholastic wrestling tournament in Penn State’s Rec Hall. This tournament is one of the largest one day tournaments in the country and is a very competitive age group tournament.